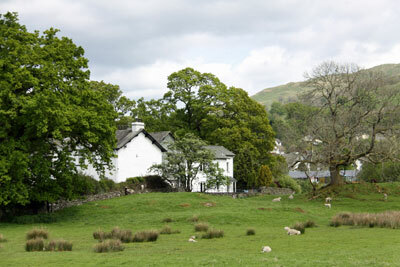 The lake district is the perfect place to take a self-catering country cottage holiday with your canine family member! The lake district appreciates that your family pet deserves a holiday just as much as you and therefore seems to be quite accommodating when it comes to providing for our furry friends. 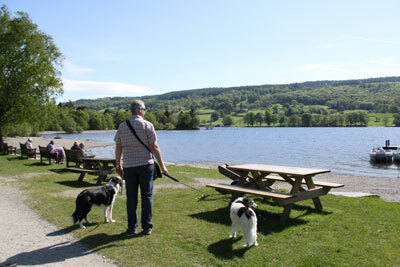 Being a beautiful national park with plenty of stunning countryside including rolling hills, breathtaking mountains and lakes that will leave you awestruck, the lake district is well equipped to keep your dog happy while your out and about exploring as well as the rest of your family. There is plenty to discover and enjoy so the whole family is entertained right down to your canine companion. In terms of needing to exercise your pet the Lake district can provide some truly amazing walks that will keep you and your dog alert. You get to appreciate what the English countryside has to offer whilst keeping your pet fit and healthy. With over 3,500 kilometers of rights of way, you are welcome to walk to your hearts content or if you would prefer you can always cycle or even ride around the park. For over 55% of the National park you are allowed to walk freely, giving you an amazing opportunity to take a leisurely stroll through one of Britain’s most beautiful areas with the company of ‘man’s best friend’. Guided walks are also a great way to experience some amazing sights, they are graded to different abilities from easy to strenuous so you can choose the most comfortable pace for you. They are based on the height gained, length of the walk and also steepness and number of gradients so make sure you don’t overestimate yourself and your dog and pick a walk you will be physically comfortable with. For less active dogs that still need to be kept moving and healthy, the Lake district National Park provides a list of around 41 routes for walks called ‘miles without stiles’, which mean that your dog can enjoy a brisk stroll without the added pressure of trying to get over/under/ around a stile or any other complicated obstruction. These walks are also used for people with mobility difficulties, pushchairs and the visually impaired. They have truly thought of everything to accommodate you and your dog! Although it is almost guaranteed that your dog is going to have the time of its life on a holiday in the lake district, it is essential that you ‘PAWS for thought’ and be sensible about taking your dog out in a National park. It is essential that you clean up after your beloved animal and always keep them under control and close by. In some areas of the park dogs are expected to be on a short lead such as on ‘open access’ land, around farm animals and livestock and also your dog needs to be considered when around other people especially cyclists and horse riders as your dog may make them uncomfortable or they may startle each other. In terms of keeping your dog healthy, a National park may be a bit of shock to the system, your canine companion may never have experienced so much exercise or heights and therefore you do need to keep things like heat stroke in mind. Make sure your dog is hydrated at all times and do not let them get too hot or worked up. Also things like ticks and insect bites need to be appreciated as you are in a magnificent countryside habitat where many creatures thrive. Talking of creatures, adders can be found in the lake district and can be harmful to your dog if it is running around in grassland. Seek advice from your vet before taking your dog away about all the issues raised here. Apart from the few minor considerations that need to be taken when taking your dog on holiday to somewhere as amazing as the lake district, it is pretty much expected that any dog is going to love their holiday in such an interesting and open countryside area with so much fresh air and interesting things to investigate! and you will definitely enjoy it too!